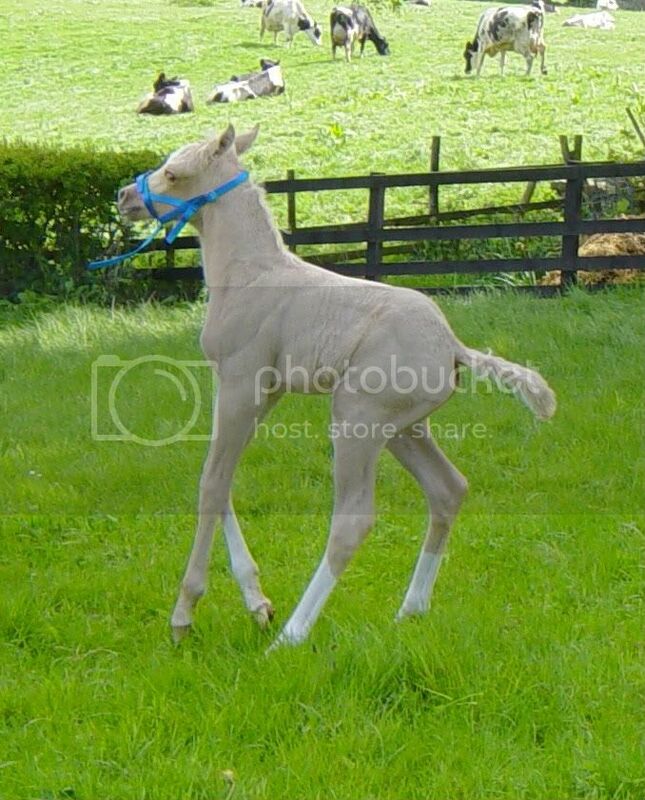 Just heard this morning that Jenny Johnston's Arab mare, Kastani (Swashbuckler x Nashani) produced a fabulous, leggy palomino colt on Friday by our cremello stallion, Roundhills Crystal King (Moonshine Vision x Shulay Coral). 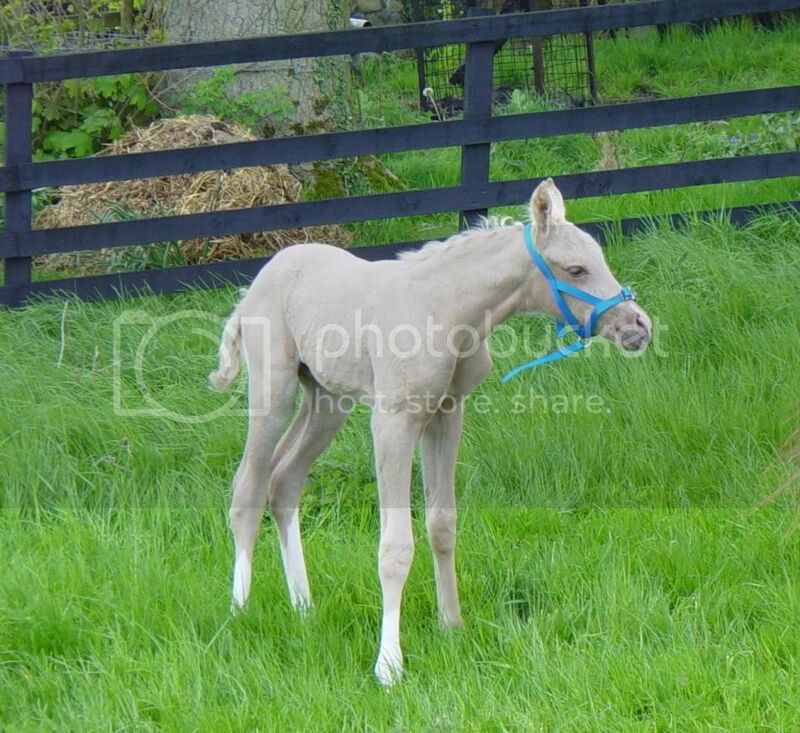 This is the first foal by our boy and we are very excited. 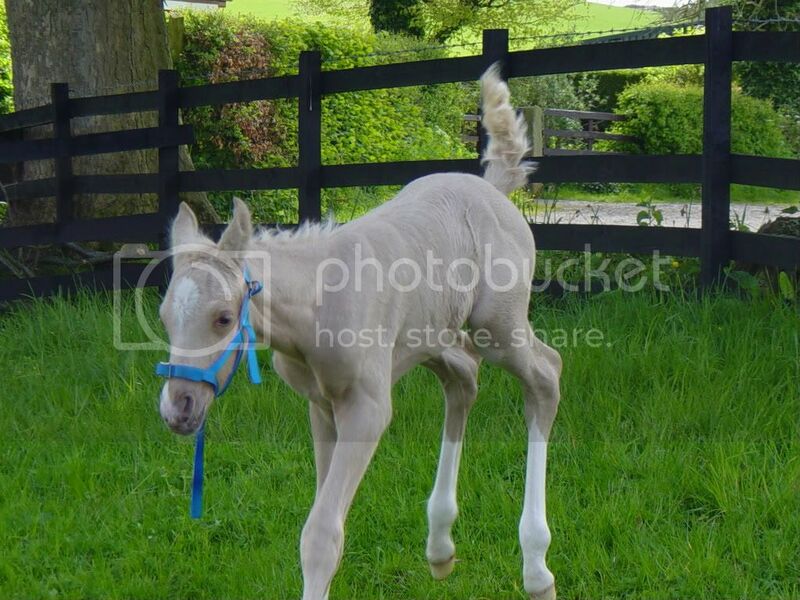 The foal has three white stockings, a white sock and a blaze. He is 80.97% Arab. We can't wait to see the pics and will post as soon as we receive them from Jenny. She is absolutely thrilled with him. Here he is! Photos taken at 2 days. He is just soo cute, well done! 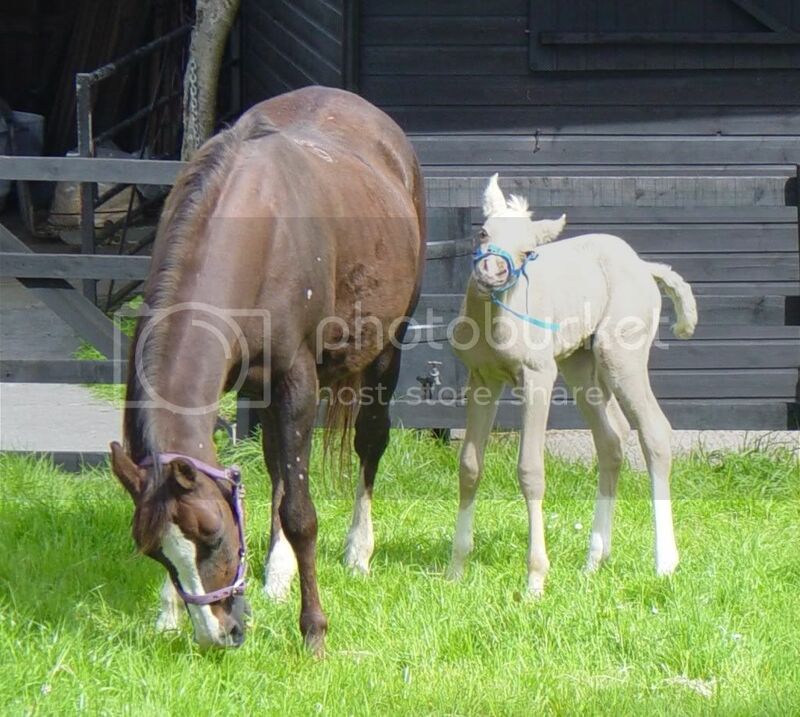 Oh, and Linda's mares both scanned in foal to him, first time.